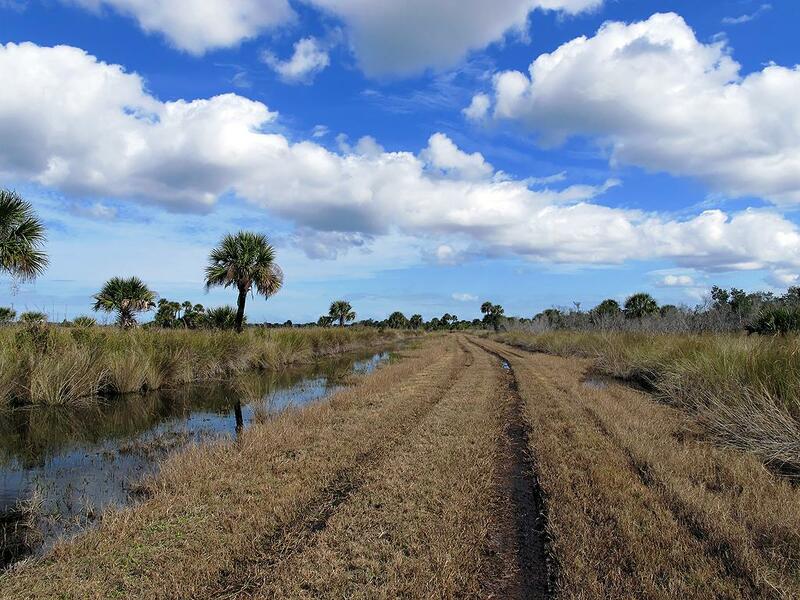 This conservation area resides between the St Johns River and Hatbill Road and is part of the Seminole Ranch WMA, [located on the West side of the St. Johns River]. The Seminole Ranch Conservation Area is as the name implies a “conservation area”, meaning that hunting in the area is not allowed. 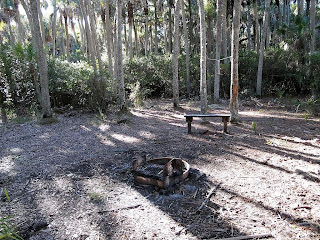 I have hiked, explored, photographed and GEOCached the area a few times, enjoying every minute. 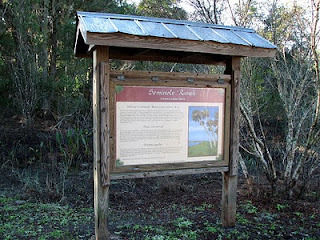 You can enter the area from the St Johns River, but the established entrance is along Hatbill Road. There is a large parking area/entrance provided on Hatbill Road, with additional entrances found from different spots along Hatbill Road. I have hiked in from a few different spots. There is a boat launch down the end of Hatbill Road, as well as one of the few developments found in this section the St Johns River. The SJRWMD has a “group camping area” on the St Johns River for public use. I’m not sure of the procedure to use this campsite, so I suggest you get in touch with the SJWMD if you wish to use it. 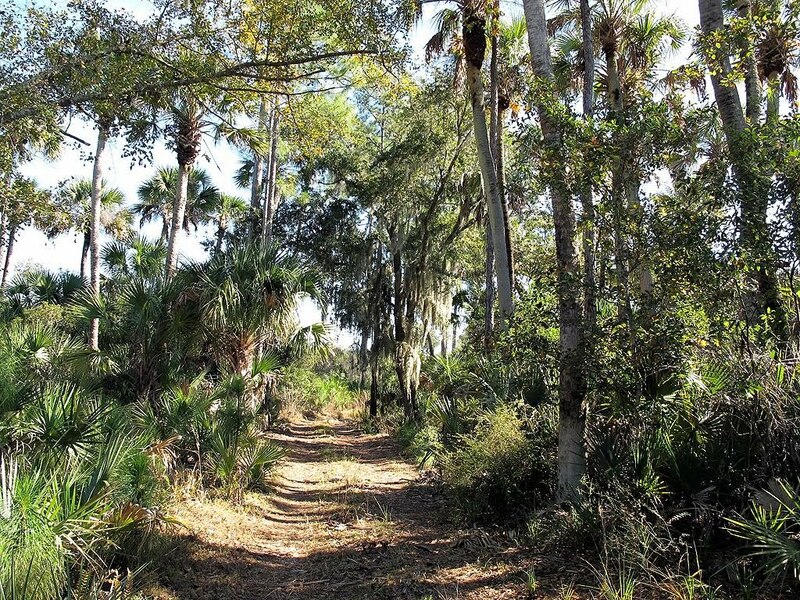 The conservation area is huge, so exploring it will take at least few trips. I have encountered water at different times, so take that into consideration when you prepare for your visit. As I mentioned, the conservation area runs from just below RT46, down along Hatbill Road to the end of Hatbill Road. 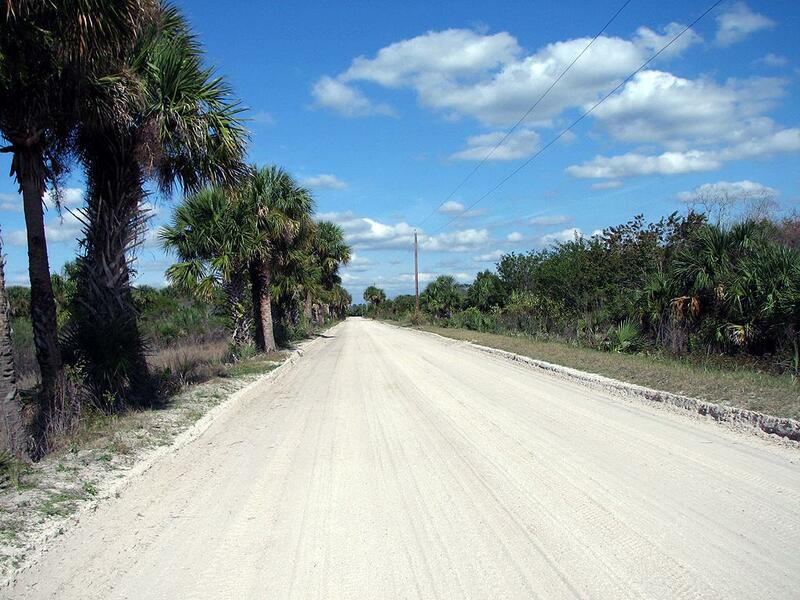 Most of the area is located on the west side of Hatbill Road, but there are some interesting sections on the east side of the road. During my expeditions I have entered the area from three different locations. Each area was quite different from the other. In no case were there any blazed trails, just old dirt roads and game trails to follow. 1. Just below RT46, above Lake Ellis (N28 39.337 W80 56.389). Comprised of both open areas and dense woods, this section was pure pleasure to wander around in, very picturesque. A huge bald eagle’s nest was spotted in a tall pine tree near the road. We found an old dump, littered with old bottles and cans. We also found remnants of what I was told was an old hunting lodge (Southmere). There were footings and some old concrete foundation relics. 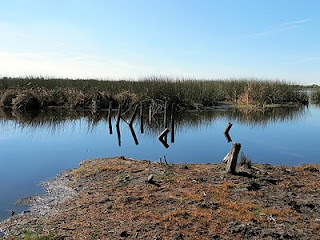 Also, down on Lake Ellis there were pilings from an old dock. In the stillness you may hear bygone echoes of a fisherman’s yarn within the breeze. 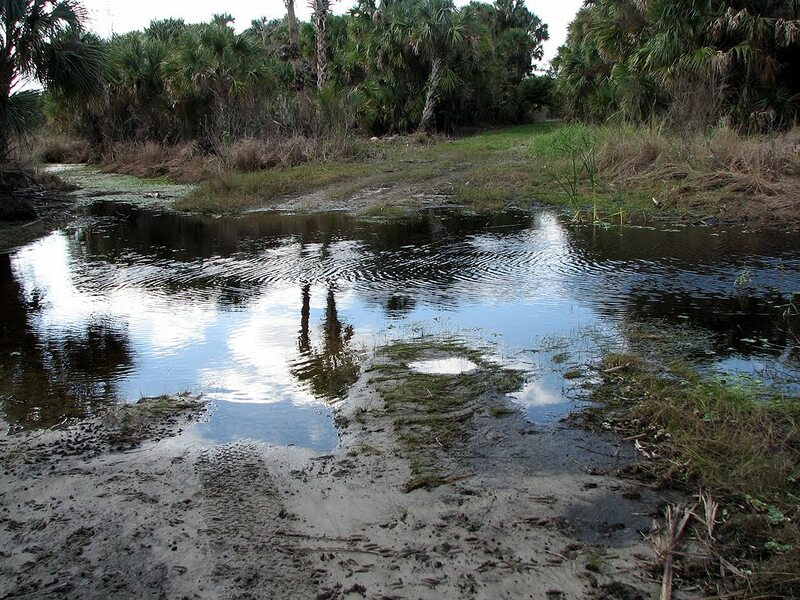 Some sections were quite swampy, so we had to work around those. As you wander around and investigate this area, you are guaranteed to find more items of historical interest. I found this section intriguing to say the least. 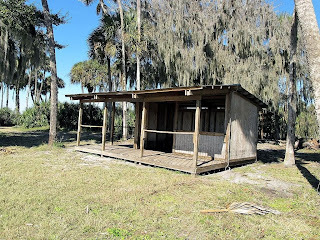 There is a private gun club across Hatbill Road, so gunshots you may hear will be from there as hunting is not permitted within the conservation area. 2. Main Parking Area, heading North (N28 37.148 W80 57.943). 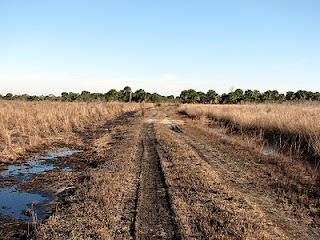 There is a road leading out of the parking area which will take you down by the St Johns River and then back up by a small lake towards Lake Ellis. 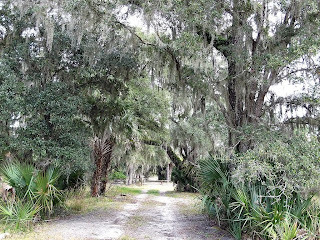 I ventured off this road a few times to explore some of the game trails. I also placed a couple of GEOCaches in that area. Depending on which roads you elect to take you can venture up pretty far north or as I did, take one of the roads to the right and loop back to the parking area. I had to cross some water and then hiked back on part of Hatbill Road because there were no other roads/trails going south. When I got back down near the parking area I ventured into the woods along a road and found another very pretty section to explore. 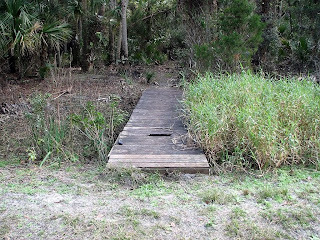 You do have to be careful when anywhere along the St Johns River, as SJRWMD has a very liberal hunting policy, meaning that the presence of hunters is always a possibility. 2. Main Parking Area, heading South (N28 37.148 W80 57.943). 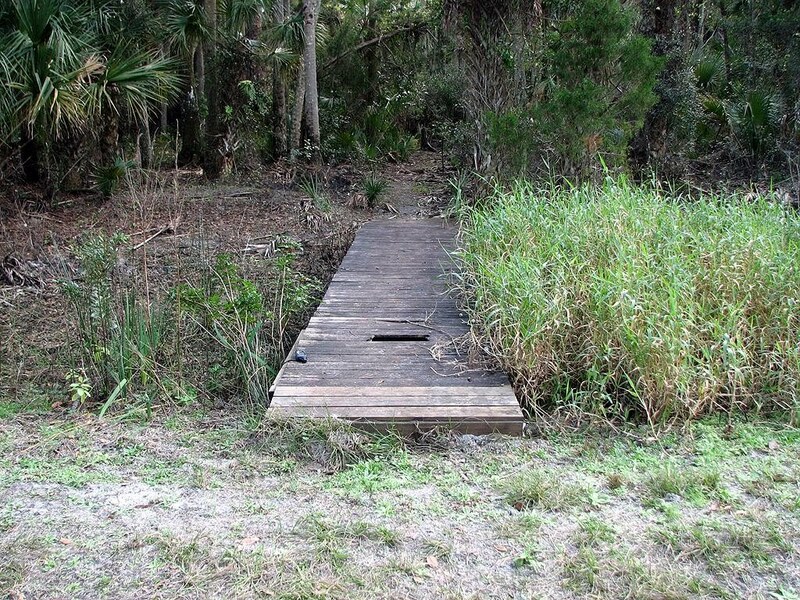 This area of the conservation area can be accessed by heading out the road from the parking area and taking a small foot bridge to the left into the woods. 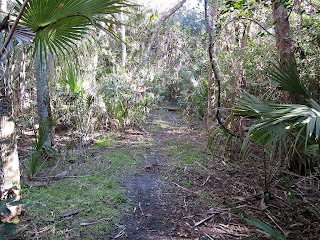 You will notice a nice trail, with a primitive campsite (Cabbage Palm) to the left. 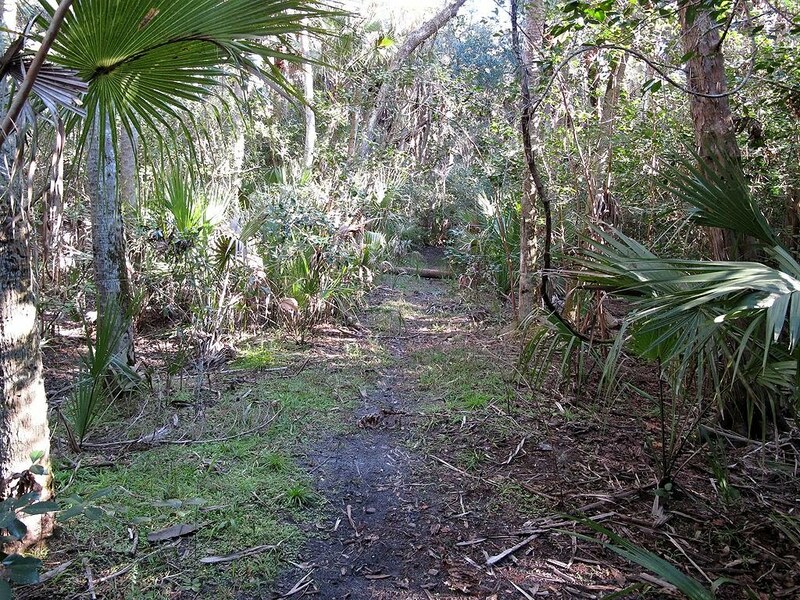 The trail will take you down to the Baxter Point Area – this is a small development on the river. 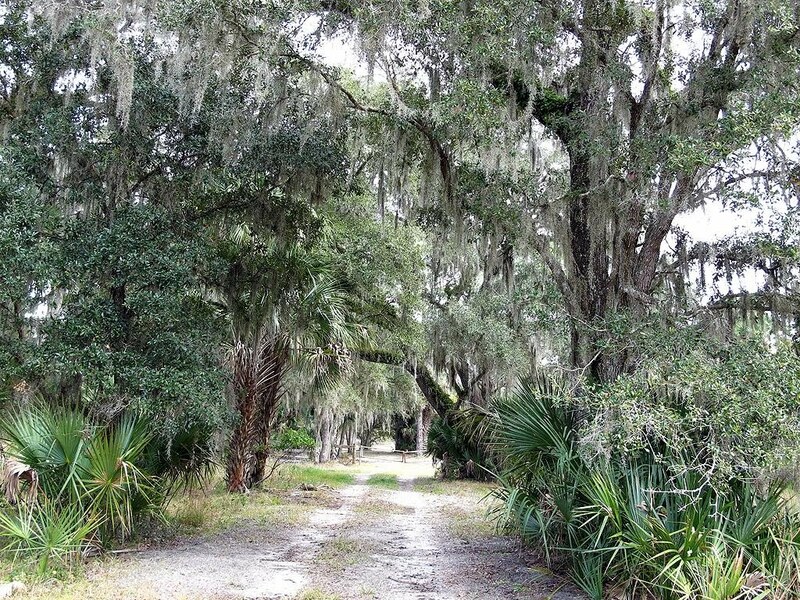 You can explore the woods around Baxter Point or head out to Hatbill Road. 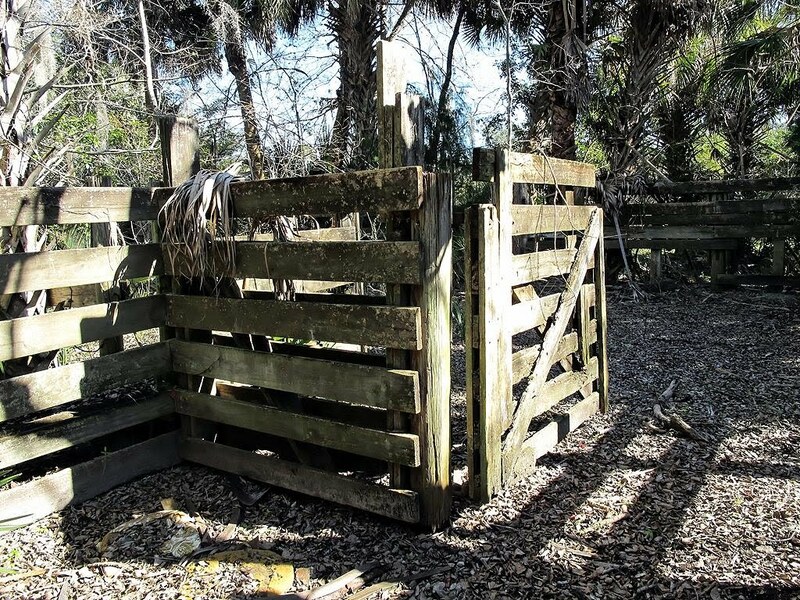 Down Hatbill Road you will find a gate to a campsite provided by the SJRWMD. Camping is allowed there, but by permit only. Heading back you should encounter a number of old cattle related historical items – from an old area used for shipping cattle, to small pens used to hold cattle. You also will find along Hatbill Road the remnants of an old structure once used by the Florida Department of Agriculture. 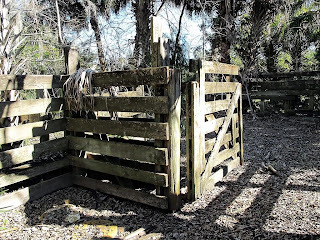 Like many strange things encountered during my exploring in Florida, the exact history seems to be lost forever. 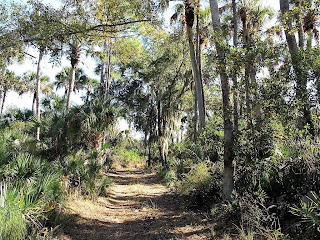 I hope I have given you the impression that there is a lot of area to explore in this section of the Seminole Ranch Conservation Area. There are all kinds of roads to venture on, as well as trails in some areas. As I mentioned, none of the trails or roads are marked, so I suggest that a GPS be an essential companion. By visiting this area you will have the opportunity to see a variety of ecosystems. I hiked the area, but a bike certainly would get you around faster. I have visited the area a number of times, there is no way you could see the area in one trip. Being that it is so close to the river, expect to encounter water in many sections during the wet season.